Come to us for the most reliable, flexible and affordable container storage in London. Suitable for personal and business use alike, we’re proud to offer the total package of cheap container storage in London with total commitment to quality. If you’re looking for dynamic storage in London for any purpose, you won’t find a better deal anywhere on the market! From our conveniently located facility, we’re able to offer outstanding container self-storage solutions for all purposes and pockets. From the smallest self-storage lockers to the largest sea containers London has to offer, we can store anything you need for any duration. We offer flexible short and long-term storage solutions alike, making self-storage in London more useful and accessible for all customers. We went into business to show how cheap container storage in London doesn’t have to mean compromising on quality. Along with the widest range of self-storage units and containers, we’re also proud to offer a comprehensive catalogue of vehicle container storage services. From everyday family cars to larger vans and motorhomes to trucks and industrial machinery, we can take care of anything you simply don’t have the space for. What’s more, we guarantee the safest, most secure storage conditions with 24/7 CCTV and meticulous maintenance standards. 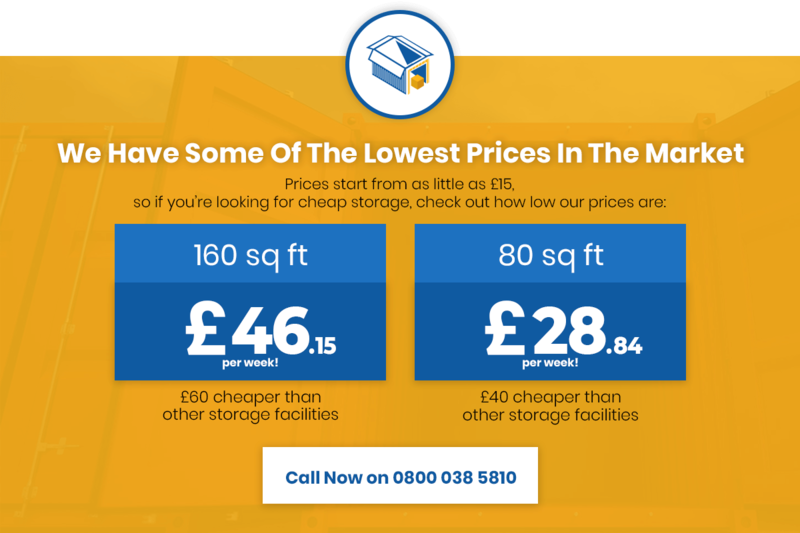 Whatever your needs for self-storage in London, you’ll find the best deal in the region right here. Book for the lowest possible price, or get in touch with our customer service team today for more information. Looking for the highest quality London storage units for the lowest possible price? Flexible storage space in London for just about any purposes? Here at containerstorageunits.co.uk, we’re proud to cover all personal and business storage needs at all levels! It’s our on-going mission to provide the capital with the most flexible, accessible and affordable storage solutions for every purpose. From safe and secure London caravan storage to simplified self-storage right through to full-scale shipping container hire, you’ll find it all right here. Our cutting-edge facility just off the M25 is covered by 24/7 CCTV and maintained to the highest possible standards. Each of our London storage units is regularly checked and verified for both quality and security for total peace of mind. What’s more, we offer flexible, tailored solutions to suit the needs of our clients – all for the lowest market prices, guaranteed. If you can’t find the exact storage solutions you need listed on our website, simply get in touch with the team to discuss your requirements. Or if you’re in the area, we’d love to show you around our facility for a closer look at how we handle self-storage in London!